HEYA! Has been long seen I last blogged. Have been busy with school and work. Shall update about my life in another blogpost soon. This is strictly for CHANEL! Yes!!! As you can see from the title and cover photo, I BOUGHT MY FIRST CHANEL. Mad happy! Couldn't decide between Chanel or Prada wallet at first. Prada is very simple and slightly more affordable and durable. 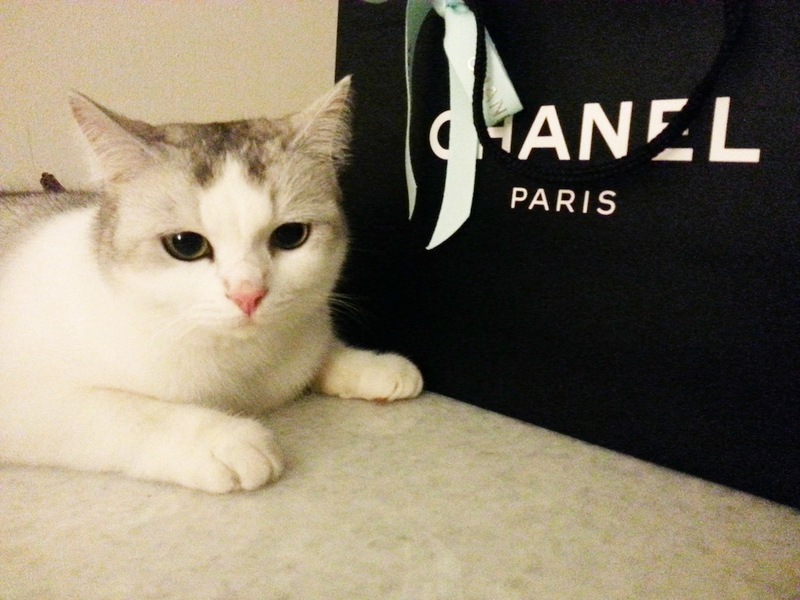 Chanel is classy and..... its Chanel. LOL. 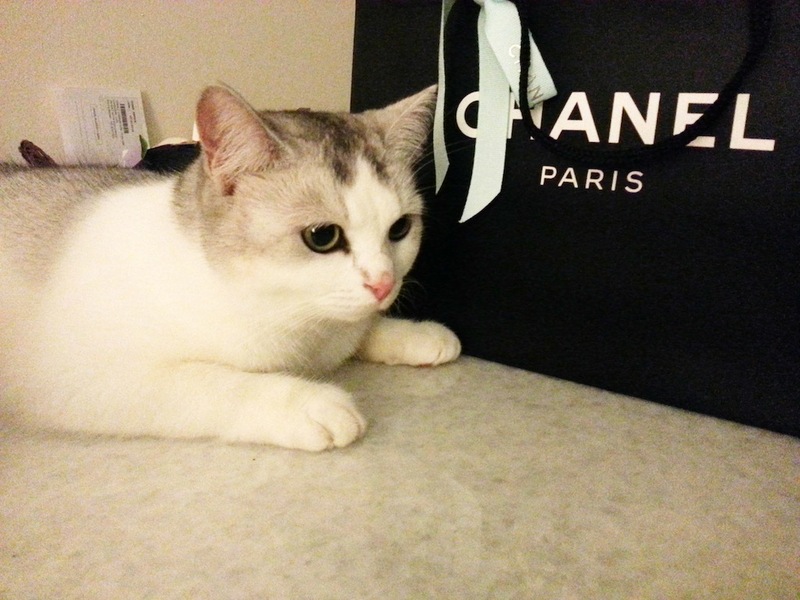 As simple as that, I decided on Chanel. Also because Prada suddenly upped its price by 100 and that's totally not worth it IMO. I love the lambskin classic flap wallet but its so fragile! So I kinda decided to get the caviar one instead but due to it being a seasonal item, it is OOS in both boutiques - MBS and Nee Ann City. So sad. The caviar one comes with gold hardware, whereas the lambskin one comes with sliver hardware. Lambskin is the classic Chanel wallet, so I'm sure you can still get it but caviar has very limited stocks. MBS outlet only left with the small and travel size wallet for caviar skin. Well, long story cut short. I bought the lambskin classic tri fold wallet. It is retailing at SGD$1,270. Just FYI I didn't get this as a gift, nor did I spent my parents' money. I bought this with my own savings from these few months of work, which I feel very happy and proud about. This is the packaging! Christmas theme with mint green/blue ribbons. Super pretty. Love it. I didn't stage this. Lizzie checking it out. This is the card for receipts. Close up of the packaging. It comes with a very pretty dog tag as well. Lambskin is super pretty but very very fragile. The cards has already dented the flap of the coin compartment. Love the side view. Classic colour combination of Chanel. Like the classic 2.55 double flap purse. Ending off with some cute photos.